Please use this site to navigate your way through the various resources for fellowships. This site contains a listing of major fellowships and funding databases. Recipients of external funding should notify the Graduate School as soon as possible. All of the following databases contain thousands of funding opportunities searchable by field of interest and/or keyword and some by academic qualifications (i.e., graduate, doctorate, etc.). Search for funding opportunities by subject (arts, humanities, sciences, social sciences, federal funding). Indexes over 8,000 current federal and private funding opportunities in the sciences, social sciences, arts and humanities. Creating an account allows you to save and set email alerts on personalized searches and grants and to browse Grant Forward from home. Grants.gov allows individuals and organizations to electronically find and apply for competitive grant opportunities from all Federal grant-making agencies, including the National Endowment for the Humanities and the National Science Foundation. The Social Science Research Council brings necessary knowledge to public issues. Some opportunities are exclusively for faculty members while others are for students and professionals who have obtained a master's degree. The mission of the ACLS is the advancement of humanistic studies in all fields of learning in the humanities and the social sciences, and the maintenance and strengthening of relations among the national societies devoted to such studies. Most fellowships require applicants to have obtained their doctoral degree. However dissertation completion fellowships are also awarded. The society sponsors several competitions for physics students engaged in dissertation research. APSA Centennial Center Visiting Scholars Program. Funding opportunities are for graduate students, post-doctoral associates and faculty. Dozens of funding opportunities are listed in this database specifically for graduate students a many different topics. The center's website provides links to private foundations, corporate grantmakers and public charities. There are a number of postbaccalaureate fellowships to be applied for at the application stage or (in most cases) no later than the first year of graduate study. Below is a list of some of the major fellowships in this category as well as a select few that may be applied for later in one's graduate school career. This list is ordered chronologically by application date. Remember to search at least three other databases for funding opportunities. There are literally hundreds of opportunities — too many to list here. This list is ordered chronologically by application date (from fall to spring). However, organizations administering a variety of funding competitions with varied deadlines are listed first. The Smithsonian administers a variety of in-residence fellowships at museums, research institutes, and offices of the Smithsonian Institution. Fellowships are for study in animal behavior, ecology and environmental science; anthropology and archeology, astrophysics, astronomy, earth sciences, paleobiology, evolutionary and systematic biology, folk life, history of science, history of art, materials research, molecular biology, and social and cultural history of the U.S. Application deadlines vary by program. One of the world's largest sources of funding exclusively for graduate women, the AAUW Educational Foundation supports aspiring scholars around the globe, teachers and activists in local communities, women at critical stages of their careers, and those pursuing professions where women are underrepresented. AAUW offers a variety of fellowships to both international and American female students. Please refer to each program for application details, eligibility requirements and deadlines. The Asian Cultural Council supports cultural exchange between Asia and the United States in the performing and visual arts, primarily by providing individual fellowship grants to artists, scholars, students, and specialists from Asia for study, research, travel and creative work in the United States. Some grants are also awarded to Americans engaged in similar activities in Asia and to arts organizations and educational institutions for specific projects of particular significance to Asian-American cultural exchange. In addition, the Council awards a small number of grants in support of regional exchange activities within Asia. The Fannie and John Hertz Foundation Graduate Fellowship Program supports students in the applied physical sciences and modern biology. Candidates may be seniors or students who have already commenced graduate study. They must be U.S. citizens or permanent residents. The awards are for one academic year and are renewable up to five years. The awards include stipend, plus a cost-of-allowance in lieu of tuition and other fees. The application deadline is is usually in the fall. Consisting of the National Academy of Sciences, National Academy of Engineering, Institute of Medicine, and National Research Council, this fellowship is designed to engage its Fellows in the analytical process that informs U.S. science and technology policy. Fellows develop basic skills essential to working or participating in science policy at the federal, state, or local levels. A stipend grant award of $8,500 will be provided for the 12-week session to offset expenses. The program takes place in Washington, D.C. from January to April and is open to all U.S. and non-U.S. citizens who meet the criteria. The application deadline is in September. Margaret McNamara Memorial Fund (MMMF) awards grants to outstanding women from developing countries, who are completing degrees at U.S./Canadian universities and are committed to improving the well being of women and children in developing countries. Individual MMMF Scholarships are approximately $12,000 and must be used during the academic year. All applicants must be at least 25 years of age and be a national of a lower or middle income country, as designated by the MMMF Country Eligibility List. Applications will be available in beginning mid September. This foundation supports the international scholarly exchange to enhance the understanding of Chinese culture and society overseas. The foundation awards doctoral fellowships of up to $15,000. Applicants must have ABD status. Awardees cannot be employed or receive grants from other sources. This fellowship awards of up to $25,000 for analysis and dissertation write up for research on education in a range of disciplines and professional fields. Applicants must be doctoral candidates; and have completed graduate requirements by June 1 of award year. The application deadline is in October. This program assists graduate students in the humanities or related social sciences in the last year of PhD dissertation writing. Students must have completed all requirements for the PhD except the dissertation. The stipend carries a $25,000 award for one year plus funds for research costs of up to $3,000 and for university fees of up to $5,000. The application deadline is late October. The Presidential Management Fellows Program offers federal government opportunities to students from a variety of disciplines who have a clear interest in public policy. Graduate students from all academic disciplines who expect to complete an advanced degree from a qualifying college or university by Aug. 31 of the academic year in which the competition is held, are eligible to become Fellows. In addition, students are eligible to be nominated by their schools if they demonstrate: exceptional academic achievement; a capacity for leadership; the potential for future professional growth; a commitment to a career in the analysis and management of public policies and programs. The application deadline is in November. The NSF Graduate Research Fellowships are for students in the fields of mathematical, physical, biological, engineering, and behavioral and social sciences, including the history and philosophy of science. The awards are open only to applicants who are citizens, nationals of the United States, or permanent residents. The NSF also allows students in a research-based terminal Master's programs to apply. The award is available for maximum tenure periods of three years usable over a five-year period. There is a $32,000 stipend for 12-month tenures, and a cost-of-education allowance of $12,000 per tenure year. A $1,000 International Research Travel Allowance is also available. The application deadline is in early November depending on field of study. Getty Predoctoral and Postdoctoral Fellowships are intended for emerging scholars to complete work on projects related to the Getty Research Institute's annual theme. Recipients are in residence at the Getty Research Institute, where they pursue research to complete their dissertations or to expand them for publication. Predoctoral Fellowship applicants must have advanced to candidacy by the time of the fellowship start date and should expect to complete their dissertations during the fellowship period. Getty Predoctoral Fellows are in residence for nine months from mid-September to mid-June and receive a stipend of $25,000. Getty Postdoctoral Fellows are in residence for nine months from mid-September to mid-June and receive a stipend of $30,000. Both fellowships also provide a workspace at the Getty Research Institute or the Getty Villa, an apartment in the Getty scholar housing complex, and airfare to and from Los Angeles. All applicants must be U.S. citizens. The application deadline is in early November. The mission of The National GEM Consortium is to enhance the value of the nation's human capital by increasing the participation of underrepresented groups (African Americans, American Indians and Hispanic Americans) at the master's and doctoral levels in engineering and science. GEM covers tuition, a $16,000 stipend and a summer internship at a participating company. The application deadline is in November (or early October for early consideration). Ford Foundation Predoctoral Fellowships are three-year awards in the fields of behavioral and social sciences, literature and languages, history, philosophy and religion, life sciences, chemistry, earth sciences, physics and astronomy, engineering, mathematics and computer science with an annual stipend, and institutional award in lieu of tuition and fees and expenses paid to attend three Conferences of Ford Fellows. There are around 60 of these awards, which are open to U.S. citizens or nationals. The goal of the Fellowship Program is to increase the diversity of the nation’s college and university faculties. Membership in one or more of the following groups is considered a "positive factor" for selection: Alaska Natives, Black/African American, Mexican American, Native American, Native Pacific Islanders, and Puerto Ricans. Other "positive factors" include: promise of continuing achievement as scholars and teachers, superior academic achievement, sustained personal engagement with communities that are underrepresented in the academy, etc. (full list of factors available on their website).The awards are intended for students who plan to work toward the PhD degree for the first time, and who are at or near the beginning of their graduate study. Individuals must demonstrate they can use three years of fellowship support. Application deadline is mid November. Note: For a later stage, there is also the Ford Foundation Dissertation Fellowship and a Postdoctoral Fellowship. The Charlotte W. Newcombe Doctoral Dissertation Fellowships are designed to encourage original and significant study of ethical or religious values in all fields of the humanities and social sciences, and particularly to help PhD candidates in these fields complete their dissertation work in a timely manner. In addition to topics in religious studies or in ethics (philosophical or religious), dissertations appropriate to the Newcombe Fellowship competition might explore the ethical implications of foreign policy, the values influencing political decisions, the moral codes of other cultures and religious or ethical issues reflected in history or literature. Awards are for $25,000 for 12 months of full-time dissertation writing on study of ethical or religious values in humanities or social sciences. Graduate schools will be asked to waive tuition for Newcombe Fellows. Applicants must be doctoral candidates by November and complete their dissertation by August. The application deadline is in November. The Fellowship awards grants of up to $90,000 for two years. Applicants should not have completed more than two years in a graduate program and cannot have reached or passed their 31st birthday at the time of application. Status as a New American means either holder of a Green Card, naturalized citizen or child of at least one naturalized citizen parent. The application deadline is early November. The Dumbarton Oaks awards grants ranging from $27,000-$47,000 for residential dissertation research in Byzantine or pre-Columbian studies or studies in landscape architecture. Applicants must be doctoral candidates at time of application. The application deadline is in November. The NPSC awards fellowships for graduate study in the physical sciences and related engineering fields for graduate study at participating NPSC institutions. It welcomes applications from all qualified students, with continued emphasis toward the recruitment of minority and female physical science students. It provides a stipend of $20,000 per annum for 6 years, plus tuition and salary through the summer employment program. Students typically apply for this fellowship during their senior year in high school. The NPSC also offers a Dissertation Support Program. This program provides support while a graduate student conducts dissertation research. Students should apply in the year prior to the beginning of their dissertation research program, but not before they can describe their intended research in general terms. The application deadline is in November. The Andrew W. Mellon Foundation fellowships are for students who are enrolled in a doctoral program in a graduate school in the U.S. and will complete all doctoral requirements except the dissertation and be ready to start research as early as June 1 and no later than September 1 with approval of the dissertation proposal six months before the starting date. Applicants should be planning to do dissertation research primarily in original source material in the holdings of archives, libraries, historical societies, museums, related repositories, or a combination. Applicants must also be writing their dissertation and receiving their PhD in a field of the humanities or in a related element of the social sciences. Mellon awards ten fellowships carrying stipends of up to $2,000 per month to support dissertation research for periods of nine to 12 months. The application deadline is in late November. The UNCF/Merck science initiative is dedicated to supporting the training of world-class African American biological and chemical scientists and engineers. Each fellowship provides up to a maximum of $53,500, which includes a stipend of up to $43,500 for the Fellow and a Research Grant of up to $10,000 to support the research needs of the Fellow. The fellowship stipend is intended to cover from 12-24 months of fellowship tenure. A maximum of $30,000 in stipend may be received in any 12 month period. The Fellow must be engaged in and within 1-3 years of completing the dissertation research having successfully completed all qualifying exams by September 1, 2013. Applicants must be African American U.S. citizens or permanent residents. The application deadline is in early December. The Jennings Randolph Program awards $20,000 for dissertation research and/or writing on international conflict and peace. The application deadline is in December. The National Defense Science and Engineering Graduate Fellowship Program (NDSEG) of the US Department of Defense is intended for students at or near the beginning of graduate study for doctoral degrees in mathematical, physical, biological, and engineering sciences. It is open to U.S. citizens or nationals. It is a three-year award, which includes a stipend, plus full tuition and fees, not including room and board. The application deadline is in December. The John Carter Brown Library fellowship program was created to give scholars from this country and abroad an opportunity to pursue their work in proximity to a distinguished collection of primary sources. The program awards grants for short-term (two to four months) research in history and the humanities. Awards are for up to $2,100 per month. Long-term research fellowships are for up to $4,200 per month. Applicants must be U.S. citizens or permanent residents and doctoral students who have passed their preliminary or general examinations at the time of application. The application deadline is in December. The fellowship provides dissertation funds for African and African-American research. An annual stipend of $26,000 is awarded. Applicants must be ABD by the end of the current academic year and have completed the first chapter of dissertation. Applications are being accepted between September and December. Fellowships are awarded to outstanding PhD candidates who exhibit strong personal commitment to Holocaust memory, demonstrate excellence in academic achievement, and possess the potential to provide outstanding professional leadership that will shape the future of Shoah scholarship. As part of the program, Kagan Fellows are invited to attend an all-expenses paid annual 5-day summer workshop alternately hosted at the U.S. Holocaust Memorial Museum and Yad Vashem in Jerusalem. Fellows are invited to present their research to and network with leading scholars and peers in Holocaust history. The maximum award amount is $20,000. The application deadline is in January. The goal of the Switzer Environmental Fellowship Program is to support highly talented graduate students in New England and California whose studies are directed toward improving environmental quality and who demonstrate the potential for leadership in their field. Ten Switzer Fellowships are awarded annually from a strong pool of over 150 applications in each region. Applicants be U.S. citizens;be enrolled in an accredited graduate institution in California or New England (master's and PhD students may apply); have strong academic qualifications; and have academic and career goals focused on environmental improvement, regardless of the school, major or program. The award provides a one-year $15,000 cash award and networking and leadership support to recipients. The application deadline is in January. The purpose of this fellowship is to fund graduate students studying and conducting research in the U.S. who have demonstrated a need for financial assistance. The fellowships also aim to attract students with an outstanding academic record who hold promise in their chosen field of study. The award includes tuition and a $18,000 stipend. Applicants must be U.S. citizens. Students should read all the conditions of the award and review the application before apply. All applicants must turn in a completed hard copy of their completed application to Barbie Papalios at GSAS (MS 031) in January. GSAS will then submit its three nominees' applications to the DZL by the postmark deadline. This fellowship supports doctoral students who are writing their dissertations on modern Jewish history and culture and fiction writers working on a Jewish-themed novel or short story collection. Each fellow will receive a two-year, $40,000 award and a special opportunity to collaborate with peers and learn from seasoned scholars. Applicants must have completed their comprehensive exams or have started writing their dissertations by the award date (April of the year the application is due). The application deadline is in January. The ASA Minority Fellowship Program (MFP) has existed since 1974and has supported nearly 500 sociologists of color during this time span. Applicants can be new or continuing graduate students of sociology, who are enrolled in a program that grants the PhD Applications may be for study in any sub-area or specialty in sociology. Applicants must be members of an underrepresented racial/ethnic minority group in the U.S. and must also be U.S. citizens, non-citizen nationals of the U.S., or have been lawfully admitted to the U.S. for permanent residence. The fellowship is awarded for 12 months and includes tuition and fees. The application deadline is in January. The National Security Education Program (NSEP) Boren Fellowships provides a unique funding opportunity for U.S. Students to study world regions critical to U.S. interests. All proposed programs must include formal study of an appropriate foreign language. The NSEP service requirement stipulates that an award recipient work in the Departments of Defense, Homeland Security, State, or the Intelligence Community for a minimum of one year. Awards are for up to $30,000 depending on if study takes place abroad or domestically. Applicants must be U.S. citizens. The application deadline is in January. The Social Science Research Council, with funding from the Andrew W. Mellon Foundation, sponsors a program for fellowships and workshops for predissertation research and dissertation proposal development. The DPDF program is designed to intervene at a critical moment in the career development of graduate students in the humanities and social sciences by aiding their transition from students to researchers. DPDF will be open to mid-stage graduate students in all disciplines of the social sciences and humanities who are currently enrolled in PhD programs at accredited universities in the United States. Fellowships will include support for sustained research and/or training, as well as participation in two sets of workshops. The application deadline is in January. The Center for Jewish History offers ten-month fellowships to doctoral candidates to support original research using the collections of the Center’s partners – American Jewish Historical Society, American Sephardi Federation, Leo Baeck Institute, Yeshiva University Museum, and YIVO Institute for Jewish Research. Preference is given to those candidates who draw on the library and archival resources of more than one partner institution. Applicants should have completed all requirements (coursework, exams, dissertation proposal) for the doctoral degree except for the dissertation. Full fellowships carry a stipend of up to $17,500 for a period of one academic year. Fellows from universities more than 125 miles away from New York City may be entitled to additional funding of up to $5,000 to offset moving expenses. The application deadline is in February. Six fellowships of up to $25,000 are available to support advanced doctoral candidates whose dissertation topic is related to the education of exceptionally promising students who have financial need. The application deadline is in February. Civil Society Scholar Awards support international academic mobility to enable doctoral students and university faculty to access resources essential to their professional development as a scholar, teacher, or public intellectual. The awards support innovative projects that will enrich research, facilitate the exchange of ideas, and help build international networks. The awards support activities such as fieldwork (data collection), research visits to libraries, archives or universities, course/curriculum development, and international collaborations leading to a peer-reviewed publication. Most projects will last between 2 and 10 months. Requests for funding for doctoral students should not exceed $10,000. The application deadline is in April. WREI awards annual fellowships to a select number of graduate students with a proven commitment to equity for women. WREI Fellows gain practical policymaking experience and graduate credit as they work from January to August as Congressional legislative aides in Washington, D.C. Fellows receive stipends for tuition and living expenses. Applicants must be enrolled in master's or doctoral program or have received their graduate degree in the last 18 months. The application deadline is in June. This list is ordered chronologically by application date (from fall to spring). The Omohundro Institute of Early American History and Culture offers annually a two-year postdoctoral fellowship in any area of early American studies. A principal criterion for selection is that the candidate's dissertation or other manuscript has significant potential as a distinguished, book-length contribution to scholarship. Applicants may not have previously published or have under contract a scholarly monograph, and they must have met all requirements for the doctorate before commencing the fellowship. Those who have earned the PhD and begun careers are also encouraged to apply. Fellows devote most of their time to research and writing, work closely with the editorial staff and participating in colloquia and other scholarly activities of the institute. 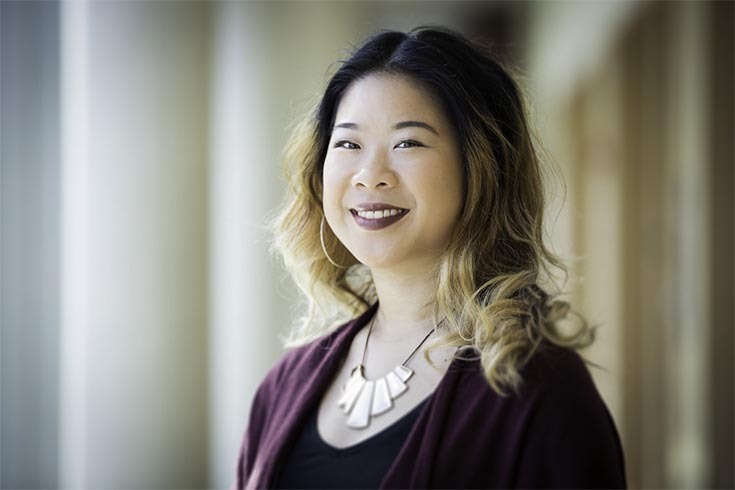 Fellows hold concurrent appointment as assistant professor in the appropriate department at the College of William & Mary and teach a total of six semester hours during the two-year term. Institute fellows also have the option of spending a summer at the Huntington Library on a full grant within five years of their residency in Williamsburg. The award is open to all eligible persons. Foreign nationals must have lived in the United States for the three years immediately preceding the date of the fellowship award in order to receive NEH funding. The Academic Diversity Fellowship Program seeks to attract promising scholars and educators from different backgrounds, races, ethnic groups, and other diverse groups whose life experience, research experience and employment background will contribute significantly to our academic excellence. The fellowships are available for postdoctoral training in all areas of study at the University and seek to attract graduate students from Penn and other institutions who have completed, or will complete their requirements for PhD by their start date. In addition postdoctoral scholars from other institutions who have completed their dissertation within the last three years are eligible. Candidates must be U.S. citizens or permanent residents. The application deadline is in August. The Abe fellowship supports postdoctoral research on contemporary policy-relevant issues including: U.S.-Japan relations, problems common to industrial societies, or global issues. The Abe supports research that compares and contrasts these processes, problems, and issues in more than one nation. Awards and terms of the fellowship are flexible and are designed to meet the needs of researchers at different stages in their careers. The program provides Abe Fellows three to 12 months of full-time support over a 24-month period. Those eligible include: citizens of the U.S. and Japan; nationals of other countries who can demonstrate long-term affiliations with research communities in Japan or the United States. Applicants must hold a PhD or terminal degree in their field or have attained an equivalent level of professional experience by the date of initial activation of the fellowship. The application deadline is in September. The Michigan Society Fellowship offers awards in the Humanities and Arts, Sciences and Professions. An Annual stipend of $55,000 for a three-year term. Fellows are appointed as assistant professors or research scientists in appropriate departments and as postdoctoral scholars in the Michigan Society of Fellows. They are expected to be in residence in Ann Arbor during the academic year of the fellowship, to teach for the equivalent of one academic year, participate in the informal intellectual life of the society and devote time to their independent research or artistic projects. The application deadline is in September. Columbia University's Society of Fellows in the Humanities is one of the oldest and most established postdoctoral fellowship programs in the United States. The society is proud to sponsor some of the most interesting interdisciplinary work in the humanities currently conducted in the United States. Postdoctoral fellowships award $60,000 (half of which is for independent research and half of which is for teaching in the undergraduate program in general education) and an additional $5,000 in support of research. The application deadline is in October. Fellows spend one year in Washington, D.C. based at the Supreme Court, the Federal Judicial Center, the Administrative Office of the U.S. Courts, or the U.S. Sentencing Commission, working on projects related to the federal court system and the administration of justice. The Program seeks outstanding individuals from diverse professional and academic backgrounds, including law, the social and behavioral sciences, public and business administration, systems research and analysis, communications, and the humanities. Candidates must have one post-graduate degree; two or more years of professional experience; and multi-disciplinary training and experience, including familiarity with the judicial process. The application deadline is in November. ARCE administers fellowships for study in Egypt by students enrolled in doctoral programs (humanities, fine arts, social sciences) at North American universities and for postdoctoral scholars and professionals affiliated with North American universities and research institutions. Awards vary by program. The application deadline for all programs is in January. We invite foreign scholars who seek permanent teaching and research positions in North America to apply for this award, which will support 12-month fellowships for scholars who are at the beginning of their careers. Fellows will be provided with an annual stipend of $35,000 to conduct original research in the vast collections of the Center’s partners – American Jewish Historical Society, American Sephardi Federation, Leo Baeck Institute, Yeshiva University Museum, and YIVO Institute for Jewish Research. This award allows the Center to serve as the gateway for emerging scholars seeking to begin an academic life in North America. The application deadline is in January. The Humbolt Research Fellowship Program offers many fellowship opportunities in support of research in Germany in any discipline. Requirements vary by program, but many of these opportunities are postdoctoral in nature. Typical requirements include requisite language skills and PhD (received within past 12 years). The program accepts applications at any time. The Lady Davis Fellowship Trust was established to provide the opportunity for leading scientists and scholars, post-doctoral researchers and doctoral students from abroad, regardless of nationality, gender or field of scholarship to teach, study and participate in research in Israel at the Hebrew University in Jerusalem and at the Technion Institute of Technology in Haifa. The application deadlines vary according to programs. The Fulbright is awarded for study or research abroad, and is administered by the Institute of International Education (IIE) on behalf of the U.S. Information Agency. Approximately 630 awards for 93 countries are offered each year. All applicants must be U.S. citizens. Awards are open to current graduate students and alums. There are numerous postdoctoral research opportunities. The campus application deadline for graduate students is TBD. This program, sponsored by the German government, provides a fellowship for research in the Federal Republic of Germany. By special arrangement, Brandeis has a priority claim to one fellowship; this means that, all things being equal, an applicant nominated by Brandeis will receive preferential treatment. Because Brandeis is a partner institution, all applicants must turn in four complete sets of hard copies of their application (1 original, 3 photocopies) to Brooke Ball at GSAS. The internal, campus deadline is in October. The Foundation awards up to $5,000-23,000 to support research or study in one or more Scandinavian countries for one year. Applicants must be U.S. citizens or permanent residents and they must arrange placement or affiliation independently. The application deadline is in November. The International Dissertation Research Fellowship (IDRF) program supports distinguished graduate students in the humanities and social sciences conducting dissertation research outside the United States for 75 fellows annually. Fellowships average $19,000 to support nine to twelve months for field research on all areas or regions of the world, as well as for research that is comparative, cross-regional and cross-cultural. Applicants must be enrolled full time in a US doctoral program and have ABD status by the time the fellowship begins. The application deadline is in November. The Berlin Program for Advanced German and European Studies was established in 1986 at the Freie University Berlin to support and promote a new generation of young North American scholars with specialized knowledge of modern and contemporary German and European affairs. The Program supports anthropologists, economists, political scientists, sociologists, and all scholars in germane social science and cultural studies fields, including historians researching the period after the mid-19th century. Fellowships are awarded for doctoral dissertation research as well as post-doctoral research which leads to completion of a monograph. The Program provides one round-trip airfare for the fellow between the fellow's residence at the time of award and Berlin. Awards provide between 10 and 12 months of research support. In addition, funds for intra-European research travel may be granted upon request. Applicants must be citizens or permanent residents of the US or Canada. Dissertation applicants: ABD status at the time the fellowship begins. Post-doctoral applicants: scholars who have received the PhD within last 2 years. The application deadline is in December. The Gladys Krieble Delmas Foundation awards up to $19,900 for one full academic year of traveling to and residing in Venice and the Veneto to support historical/contemporary research on Venice and the former Venetian empire. Applicants must be U.S. citizens or permanent residents and ABD by December. The application deadline is in December. ARCE administers fellowships for study in Egypt by students enrolled in doctoral programs (humanities, fine arts, social sciences) at North American universities and for postdoctoral scholars and professionals affiliated with North American universities and research institutions. Awards vary by program. The application deadline for all programs is usually in January. AF Fellowships support dissertation research in Latin America and the Caribbean undertaken by students who have advanced to PhD candidacy in a university in the United States. Fellows must be U.S. citizens or citizens of the independent Latin American countries. Proficiency in the language(s) appropriate to the research proposal is required. The Fellowship includes: round-trip international transportation to the research site; a research allowance of up to $3,000; a monthly stipend of $1,500 (4-12 months); emergency health insurance;expenses related to required attendance at a mid-year conference. The application deadline is in January. The CES Fellowship Program serves as the leading source for pre-dissertation fellowships that fund students' first major research projects in Europe. The fellowship sponsors three components: 1) A two-month stay abroad, during which time fellows pursue original archival and field research; 2) Fellows’ participation at the CES International Conference, where they present their findings and receive feedback from senior scholars; 3) Publication of fellows’ research reports in the CES journal, the European Studies Forum (as well as electronically). In order to be eligible for the award, applicants must fulfill four criteria: 1) The CES Fellowship is intended to fund students’ first major research project in Europe. Students who have already engaged in extensive field work and study in Europe, related to their dissertation, are not eligible. 2) Applicants must be in the exploratory, early stage of their research. 3) Applicants are expected to have finished all or a majority of their doctoral coursework. 4) The applicant’s home university must be a member of the Council’s academic consortium (Brandeis is a member). The application deadline is in January. The Fulbright-Hays Doctoral Dissertation Research Abroad Program (DDRA) is designed to contribute to the development and improvement of the study of modern languages and area studies in the United States by providing opportunities for scholars to conduct doctoral dissertation research abroad. It may include all major world areas with the exception of Western Europe. The program is for those who intend a career in teaching and research.Note:In contrast to the Fulbright, which is mainly for a stay in a single country (although in some cases, several countries in a region are allowed), the DDRA program allows for stays in one or more countries depending on research needs. A western European country may be included as one of the stays, if archival work or other research needs related to the non-Western project warrant such a stay.) Note: In recent years, there has been a very narrow application window spanning one month from approx. May 1 (when the application becomes available online) to approx. June 1 (when the application is due).